Rising restaurant costs and the inability to cover them is one of the top reasons why restaurants shut down so often. 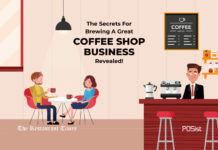 Even if your restaurant witnesses a decent footfall, unless you manage your restaurant costs well, and keep them under check, you will not be able to run a successful business. 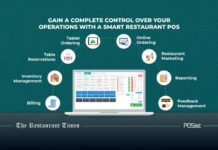 While there are several aspects that need to be taken care of, you can control the two major restaurant costs – food cost and the labor cost that you can bring down significantly with the help of a smart restaurant management system. 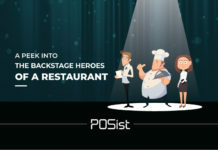 The restaurant management system will help you in ways more than one, and while it will reduce your dependency on manual labor by automating the entire restaurant operations, it will also help you analyze the reasons that might be increasing your food costs unnecessarily. Leveraging technology is one of the easiest ways to reduce the unnecessary expenses that your restaurant might be incurring. Considering the predicament of the situation why are you refraining yourself from having one on board that will not only help you streamline your restaurant operations but will also play a significant role in keeping you cash registers overflowing. Two significant expenses that might drive a restaurant insane is the food cost and the labour cost, and in this article, we would talk about the ways you can keep both these under check with the help of a restaurant management system. Considering that inventory is the nerve center of your restaurant business unless you keep a tight check on it, you will lose out more than you can expect. A restaurant management system will ensure that you have a standard inventory process which will streamline your entire kitchen operations. A restaurant management system will send you real-time alerts whenever an item reaches its reorder level. This will ensure that your restaurant only places the order of the items that are required, this will save your restaurant from ordering items that are already present in your inventory, and hence ensure that you don’t generate unnecessary kitchen waste. 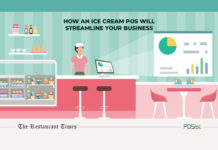 Restaurant POS gives you detailed inventory reports of the most and the least selling items. From the information garnered you can revamp your menu, by including more varieties of the most selling items while scrapping the least selling ones. 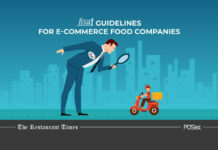 This will help you to avoid purchasing the inventory items of the dishes that are not bringing in the profits expected. 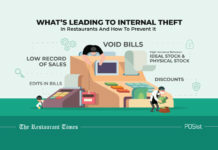 Since the restaurant industry is notorious for internal thefts and pilferage, and the inventory being one of the main areas which fall under this dubious circle, it becomes necessary for you to keep tight control over inventory. Having a restaurant management system, that will provide you with detailed item-wise daily consumption reports, beginning and the closing inventory counts of each item, you can be relieved that no misappropriations happen in this section of your restaurant. Proper Yield Management enables you to analyze the exact yield of an ingredient that would be utilized for actually preparing a dish. For instance, if you order 5 kg of meat, not all 5 kg is going to be utilized for preparation; some of it, for instance, bones may go to waste. Yield Management calculates the quantity of the stock that would be utilized and based on that updates the inventory. This further eliminates the risk of over-ordering or under ordering of stock items and reduces your restaurant costs. 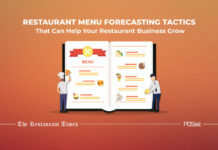 Variance is another significant metric that you need to track for keeping your food costs in check and you can do so with the help of a restaurant management system. The Variance is the difference between the actual stock consumed and the Ideal Food Cost. 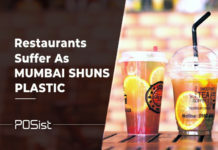 A Variance of 3-5% is acceptable which can happen due to regular wastage, however, anything more than 7% signifies that some misappropriation may be happening at your restaurant. By monitoring the Variance Reports regularly, you can identify the source of high food costs and bring down your overall restaurant costs. A restaurant management system that comes with a recipe management feature will help you standardize all your recipes and control your restaurant costs. These recipes must include every ingredient that goes into making and presenting the dish, and it must also include the quantities of each item, the temperature at which the dishes must be prepared and the cooking methods. Once you have all the recipes in place, all your chefs need to do is follow the recipes intently. Having a recipe management feature in the restaurant management system is important primarily because of the fact that many times, your chefs might falter and might mix up recipes. It is a human error which is only possible. The dish prepared cannot be used or reused, and the chef is left with no other option but to discard it, which ultimately increases the overall cost. Such situations are bound to have an impact on your inventory and will increase your food cost, and hence your restaurant costs considerably. However, a recipe management feature in your restaurant management system will come as a welcoming solution and will help you to keep your rising food cost under check. Labor cost is another one of the primary restaurant costs that is crucial to monitor and keep under check. It is needless to mention that while hiring the right employees is a very time-consuming task, retaining them is a task that not many restaurants are able to master. And once you are unable to retain your employees, you are left with no other option but to repeat the entire hiring process. This shows that it is not only a time-consuming affair it also demands a lot of your resources which if you channelize in a different direction could help you improve your revenue. One of the easiest ways by which you can keep this rising labor cost under control is by using a robust restaurant management software which will automate your entire restaurant operations, and in turn, reduce your dependency on manual labor to a great extent. Billing has always been a labor-intensive task. When done manually it leaves a huge scope of manual mistakes, and since it deals with money, as a restaurant owner you can hardly compromise with this section. Having a restaurant management system which automates the entire billing procedures ensures that you don’t need someone extremely competent with monetary transactions. You can look for someone and train them effectively to use the restaurant management system in the most effective way possible. Having a restaurant management system, which comes with a kitchen display system will reduce your dependency on manual labor to a great extent which in turn will reduce your expense on the labor. A KDS will ensure that when a server receives an order, it will get reflected on the kitchen screen in real-time. In addition to this, if the customer changes his order after placing it, all the changes will get reflected in the KDS in real-time as well. All these will nullify the need for the server to run to and fro from the table to the kitchen to hand over the KOT. Managing inventory is something that is not possible for a single person to handle. Hence, it increases the need for you to hire staff who will keep track of the inventory section diligently. In spite of that, since it is a manual task, it increases the chances of manual mistakes. If you want your inventory management to be done quickly and perfectly, it is highly advisable to employ a restaurant management system that will streamline your inventory operations like never before and will reduce the need for you to hire many restaurant staff for this activity. 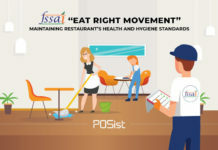 Monitoring and measuring your restaurant staff performance is essential so as to identify the areas where they are doing well and the areas where they could improve. Decide the Key Performance Indicators for your restaurant staff and track them religiously to see if they are delivering their duties as per the expectations. 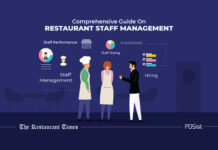 A restaurant management system with the People Management feature would help you monitor your staff performance and provide you with the data to train them better for improved efficiency. This will, in turn, improve your revenue and justify the costs. Controlling the unnecessary restaurant costs incurred behind the food and the labor is essential. 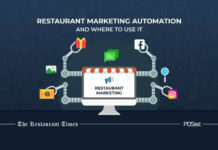 And taking refuge in the restaurant management system is one of the best ways to control such restaurant expenses which can drain your restaurant business dry. Therefore, what are you waiting for? Install a restaurant management system right away, if you have not already and see your restaurant business soar! 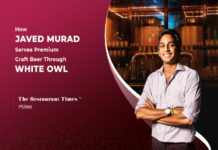 Get a free consultation from one of our restaurant experts who can tell you exactly how you can bring down your restaurant costs.